The National Federation of State High School Associations considers preparticipation physical evaluations (PPE) a prerequisite to athletics participation, yet, despite this recommendation, there is minimal evidence confirming the effectiveness of the PPE for injury prevention and prediction. This void represents an opportunity for practitioners to improve the use of the PPE for evaluating prospective injury risk and developing personalized prevention programs to mitigate musculoskeletal injury occurrence. Although the PPE was initially intended to fulfill school-based legal and medical requirements, the primary goal now is to maximize safe participation in physical activity. One of the stated goals of the PPE musculoskeletal examination is to predict individuals who are at risk for musculoskeletal injury.2 Traditionally, the musculoskeletal examination portion of the PPE has been a two-minute orthopedic screen focused on general range of motion, strength, and joint laxity.3,4 There is minimal evidence to support this exam as an effective predictor of future injuries.3,5 The recently updated PPE fourth edition guidelines promote a “functional” aspect of testing by incorporating performance-based tests designed to evaluate deficits in movement control for identification of increased predisposition for injury. Yet the current functional PPE recommendations consist of only a duck walk, single-leg hop, or both, with minimal to no evidence to support these assessments as a prospective injury-risk screening tool. Our purpose is to address gaps in knowledge concerning the efficacy of the PPE and establish the capabilities of a new functional PPE (F-PPE) component for physically active individuals. After an extensive literature review, we selected four tests to assess functional performance as part of a National Institutes of Health-funded nationwide research study to further validate their efficacy for lower extremity injury risk. Led by James Onate, PhD, ATC, FNATA, associate professor in the School of Health and Rehabilitation Sciences at The Ohio State University in Columbus, this report will update the health and rehabilitation community concerning possibilities for implementing functional musculoskeletal preparticipation exams. 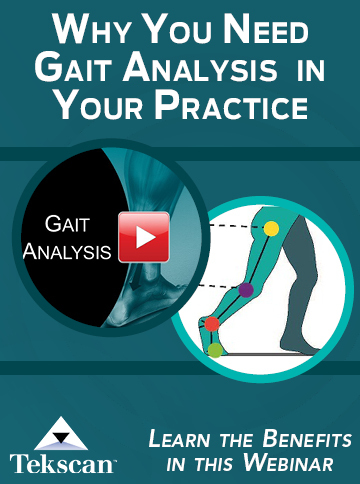 The four selected tests include the single-leg anterior reach (SLAR), single-leg hop for distance (SLHOP), the Landing Error Scoring System (LESS), and ankle dorsiflexion range of motion (ROM) assessment. 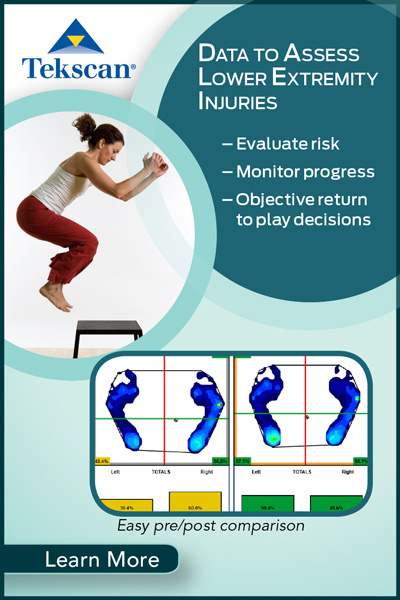 These tests can be used as a model for determining risk for lower extremity injury and to aid in injury prevention. The participant, while wearing shoes, begins in a balanced, single-leg stance with his or her toes just behind the red starting line (Figure 1A). Maintaining a single-leg stance, he or she reaches with the free limb and pushes the reach indicator forward as far as possible (Figure 1B). The SEBT was originally created with eight components to assess postural control and function. 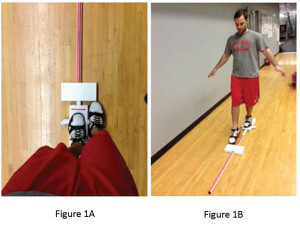 However, assessment of dynamic balance ability does not require assessment in all directions, only the anterior and posterior medial and lateral directions that make up the Y-balance test.10 A study of deficits in Y-balance performance across 235 high school basketball players found that a reach less than 94% of limb length was associated with a 6.5-fold higher injury risk.11 Athletes with an asymmetry of more than 4 cm between anterior left and right distances were 2.5 times more likely to sustain injury.11 Therefore, utilizing a single portion of the SEBT—the anterior reach—may be a good option for testing during preparticipation examinations in large populations and where time constraints are present. Figure 2. Single-leg hop for distance (SLHOP). Recent work18 used a series of functional performance-based assessments to identify lower extremity performance deficits in athletes following unilateral anterior cruciate ligament (ACL) reconstruction who had returned to sport participation. Functional performance was evaluated using double-leg tests (eg, broad jump, vertical jump), modified double-leg tests (agility tests that were modified to isolate cutting and shuffles in a unilateral manner, eg, modified agility T-test, modified pro shuttle), and single-leg tests (eg, single, triple, cross-over, and timed hop tests). The modified double-limb tests were not sensitive enough to detect limb differences or differences between the healthy controls and ACL-reconstructed athletes. The single-leg hop tests, however, differentiated between the groups and between the limbs of the athletes with ACL reconstruction, with moderate to large effect sizes.18 These findings indicate that isolation of single-leg performance during functional assessments should be used to identify deficits. Figure 3. Examples of a low risk, excellent movement pattern iLESS jump (above), and a high risk, poor movement pattern iLESS jump (below). The LESS is a clinical assessment tool used to analyze jump-landing mechanics using standard video cameras recording frontal and sagittal views. The LESS allows clinicians to identify multiple high-risk movement patterns for knee injuries, specifically noncontact ACL injury and patellofemoral pain.19-21 High-risk movement patterns include increased knee valgus angles,22-26 decreased knee flexion position,27-30 increased internal rotation moments,31,32 and minimal plantar flexed positions33,34 during jump landing. Individuals with low LESS scores (indicating better jump-landing technique) display significantly different lower extremity kinematics and kinetics compared with individuals with high LESS scores (indicating poorer jump-landing technique) on a range of jump-landing biomechanics that have previously shown to be related to ACL loading and injury mechanics.20 The LESS demonstrates strong intrarater and inter-rater reliability, ranging from good to excellent.20 Although the LESS is a reliable method of assessing lower extremity jump-landing mechanics, it cannot be implemented in real time and requires the use of video cameras. The LESS-impression (iLESS)36 is a further advancement of the LESS-RT, but has a simplified scoring system that allows for immediate clinician grading with minimal training. The iLESS takes advantage of the clinician’s experience and training to decrease testing time and works by instantly determining upon landing if the movement pattern was high risk or low risk for injury. The iLESS is shown to have a high level of consistency with LESS jump-landing classifications made by either novice or expert evaluators.36 The LESS, LESS-RT, and iLESS are different tools to assess the same jump-landing biomechanics. The iLESS takes a practical step forward for lower extremity translational science by integrating research evidence and clinical ability to decrease the need for time-consuming or expensive biomechanical analysis and perform functional testing in real time. There are several ways to assess ankle dorsiflexion, including electric goniometers,46 rulers,47 visual estimation,48 as well as the inclinometer and universal goniometer. The lunge tape measure method was selected due to low cost, high reliability, and an increased speed of exam compared with the other methods. Single-leg anterior reach. To eliminate the effects ankle dorsiflexion limitations may have on the SEBT,40 the clinician administers the SLAR task using a Y-balance kit so that the heel does not need to remain in contact with the ground. Each participant will perform three trials for each limb, alternating limbs while testing. He or she, while wearing shoes, will begin in a balanced, single-leg stance with his or her toes just behind the red starting line (Figure 1A). While maintaining a single-leg stance, the individual reaches with the free limb and pushes the reach indicator in the forward direction as far as possible (Figure 1B). The participant must then return to a balanced single-leg stance. The maximal reach distance is measured by reading the tape measure at the edge of the reach indicator nearest the participant. For the test score to be valid, the individual must remain in a single-leg stance throughout each trial and avoid kicking the reach indicator or using it as support by stepping on it. Scoring is normalized to limb length (anterior superior iliac spine to medial malleolus). Single-leg hop for distance. The SLHOP requires a tape measure attached to the ground. 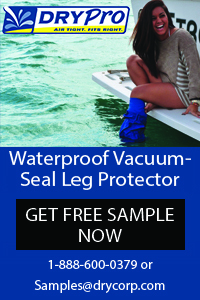 Each participant will perform three trials for each leg, alternating limbs while testing. With shoes on, he or she will begin in a single-leg stance with the toes of the standing leg in line with the start of the tape measure. The individual will then hop forward on the stance leg, as far as possible, along the measurement line and land on the same stance leg (Figure 2). The participant must maintain postural control upon landing for at least two seconds. The examiner measures hop distance at the toe. For the test score to be valid, the individual must take off and land on the same leg without the contralateral foot touching the ground. He or she must also maintain postural control without additional hopping upon landing. Scoring is normalized to limb length (anterior superior iliac spine to medial malleolus). Landing Error Scoring System­-impression. The iLESS requires a 30-cm tall plyometric box and optional video camera and tripod (if further, more sophisticated analysis is desired). The camera should be set up with the front leg of the tripod placed directly in front of the box at a distance of 183 cm. The clinician should stand in front of the participant and near the camera, but out of the camera’s view. Each participant performs three drop-landing trials. Participants should wear shoes and dress in attire that exposes the knees. Each individual will stand on top of the box and lean forward. When they feel they are about to fall, they will bring both feet off the box at the same time, dropping downward, landing with both feet, and immediately performing a maximum vertical jump with both arms extended overhead. The iLESS has two possible scores, 0 or 1, based on the real-time clinician observation. A score of 0 means low risk/excellent movement pattern, and a score of a 1 means high risk/poor movement pattern. If the participant shows any signs of a high risk/poor movement pattern, he or she should be scored a 1. The rationale for including any movement pattern that may be at risk is to maximize the specificity of the test to rule in any possible injury risk factor. As this assessment is designed for a PPE environment, a positive finding would indicate further exam is needed to determine what specific factors may exist (motor control, strength, mobility, etc) and to prescribe preventive treatment. Figure 4. Ankle dorsiflexion range of motion assessment. Dorsiflexion mobility. 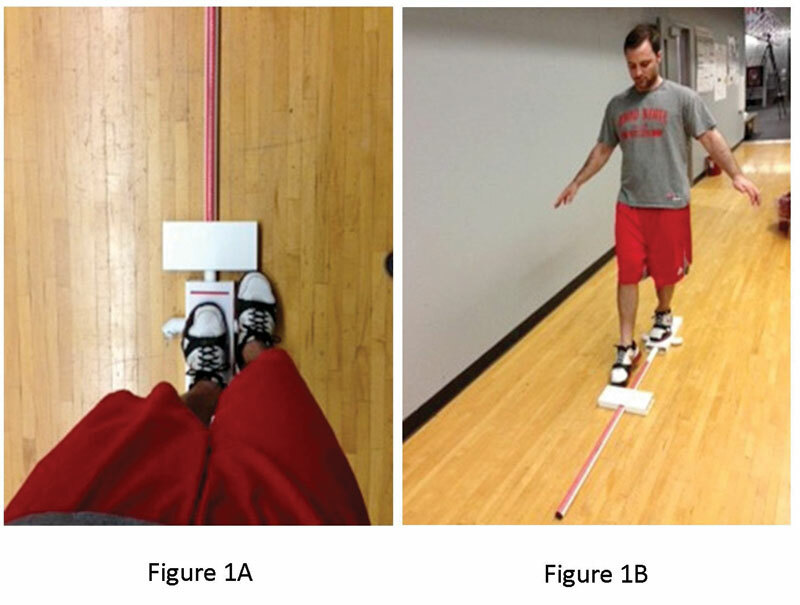 To assess ankle dorsiflexion ROM, attach a tape measure to the floor perpendicular to a wall. Ask the participant to stand facing the wall, a few inches away, with shoes off and hands on the wall for balance, with the arms bent slightly. The heel and great toe of the limb being assessed are aligned beside the tape measure. Position the contralateral ankle behind the testing ankle in a tandem stance. Instruct the participant to perform a lunge in which the knee of the forward limb flexes with the goal of contacting the wall with the anterior aspect of the knee while keeping the heel firmly planted on the floor (Figure 4). The contralateral limb may be placed wherever the individual is comfortable. If the individual can maintain heel contact with the floor and knee contact with the wall, ask him or her to move the foot back 1 cm at a time until heel or knee contact cannot be maintained. The farthest distance the participant is able to reach will be their score, recorded as the distance from the wall to the great toe in centimeters. The addition of these functional tests to the PPE may allow the clinician to identify at-risk individuals and implement preventive interventions. By addressing deficits in movement control identified through the functional preparticipation exam, we can maximize safe participation in physical activity. Future studies with large sample sizes in multiple types of environments and populations need to be conducted to further validate these assessments. Alexis Meister, BS, ATC, is a research associate in the Movement Optimization & Variability for Exercise Sustainment (MOVES) laboratory at The Ohio State University School of Health and Rehabilitation Sciences in Columbus. Dustin Grooms, MEd, ATC, CSCS, is a PhD student in the health and rehabilitation sciences program at The Ohio State University and a graduate research associate in the MOVES laboratory. Cambrie Starkel, MS, is the project manager for the National Institutes of Health-sponsored FPPE project and a research associate in the MOVES laboratory. James Onate, PhD, AT, FNATA, is an associate professor in the School of Health and Rehabilitation Sciences at The Ohio State University, director of the MOVES laboratory, and principal investigator for the FPPE project. 1. Almeida SA, Williams KM, Shaffer RA, Brodine SK. Epidemiological patterns of musculoskeletal injuries and physical training. Med Sci Sports Exerc 1999;31(8):1176-1182. 2. Bernhardt DT, Roberts WO, eds. PPE Preparticipation Physical Evaluation, 4th edition. American Academy of Family Physicians; 2010. 3. Garrick JG. Preparticipation orthopedic screening evaluation. Clin J Sport Med 2004;14(3):123-126. 4. Gomez JE, Landry GL, Bernhardt DT. Critical evaluation of the 2-minute orthopedic screening examination. Am J Dis Child 1993;147(10):1109-1113. 5. Best TM. The preparticipation evaluation: an opportunity for change and consensus. Clin J Sport Med 2004;14(3):107-108. 6. Gribble PA, Hertel J, Denegar CR, Buckley WE. The effects of fatigue and chronic ankle instability on dynamic postural control. J Athl Train 2004;39(4):321-329. 7. Olmsted LC, Carcia CR, Hertel J, Shultz SJ. Efficacy of the Star Excursion Balance Tests in detecting reach deficits in subjects with chronic ankle instability. J Athl Train 2002;37(4):501-506. 8. Plisky PJ, Gorman PP, Butler RJ, et al. The reliability of an instrumented device for measuring components of the star excursion balance test. N Am J Sports Phys Ther 2009;4(2):92-99. 9. Hale SA, Hertel J, Olmsted-Kramer LC. The effect of a 4-week comprehensive rehabilitation program on postural control and lower extremity function in individuals with chronic ankle instability. J Orthop Sports Phys Ther 2007;37(6):303-311. 10. Hertel J, Braham RA, Hale SA, Olmsted-Kramer LC. Simplifying the star excursion balance test: analyses of subjects with and without chronic ankle instability. J Orthop Sports Phys Ther 2006;36(3):131-137. 11. Plisky PJ, Rauh MJ, Kaminski TW, Underwood FB. Star Excursion Balance Test as a predictor of lower extremity injury in high school basketball players. J Orthop Sports Phys Ther 2006;36(12):911-919. 12. Reid A, Birmingham TB, Stratford PW, et al. Hop testing provides a reliable and valid outcome measure during rehabilitation after anterior cruciate ligament reconstruction. Phys Ther 2007;87(3):337-349. 13. Grindem H, Logerstedt D, Eitzen I, et al. Single-legged hop tests as predictors of self-reported knee function in nonoperatively treated individuals with anterior cruciate ligament injury. Am J Sports Med 2011;39(11):2347-2354. 14. Fitzgerald GK, Lephart SA, Hwang JH, Wainner MRS. Hop tests as predictors of dynamic knee stability. J Orthop Sport Phys 2001;31(10):588-597. 15. Itoh H, Kurosaka M, Yoshiya S, et al. Evaluation of functional deficits determined by four different hop tests in patients with anterior cruciate ligament deficiency. Knee Surg Sports Traumatol Arthrosc 1998;6(4):241-245. 16. Juris PM, Phillips EM, Dalpe C, et al. A dynamic test of lower extremity function following anterior cruciate ligament reconstruction and rehabilitation. J Orthop Sports Phys Ther 1997;26(4):184-191. 17. Noyes FR, Barber SD, Mangine RE. Abnormal lower limb symmetry determined by function hop tests after anterior cruciate ligament rupture. Am J Sports Med 1991;19(5):513-518. 18. Myer GD, Schmitt LC, Brent JL, et al. Utilization of modified NFL combine testing to identify functional deficits in athletes following ACL reconstruction. J Orthop Sports Phys Ther 2011;41(6):377-387. 19. Boling MC, Padua DA, Marshall SW, et al. A prospective investigation of biomechanical risk factors for patellofemoral pain syndrome: the Joint Undertaking to Monitor and Prevent ACL Injury (JUMP-ACL) cohort. Am J Sports Med 2009;37(11):2108-2116. 20. Padua DA, Marshall SW, Boling MC, et al. The Landing Error Scoring System (LESS) Is a valid and reliable clinical assessment tool of jump-landing biomechanics: The JUMP-ACL study. Am J Sports Med 2009;37(10):1996-2002. 21. Padua DA, Marshall M, Beutler AI, Garrett WE. Prospective cohort study of biomechanical risk factors of ACL injury: The JUMP-ACL Study. Presented at the 35th American Orthopaedic Society of Sports Medicine Annual Meeting. Keystone, CO, July, 2009. 22. Chappell JD, Yu B, Kirkendall DT, Garrett WE. A comparison of knee kinetics between male and female recreational athletes in stop-jump tasks. Am J Sports Med 2002;30(2):261-267. 23. Chaudhari AM, Andriacchi TP. The mechanical consequences of dynamic frontal plane limb alignment for non-contact ACL injury. J Biomech 2006;39(2):330-338. 24. Hewett TE, Torg JS, Boden BP. Video analysis of trunk and knee motion during non-contact anterior cruciate ligament injury in female athletes: lateral trunk and knee abduction motion are combined components of the injury mechanism. Br J Sports Med 2009;43(6):417-422. 25. Hewett TE, Myer GD, Ford KR, et al. Biomechanical measures of neuromuscular control and valgus loading of the knee predict anterior cruciate ligament injury risk in female athletes: a prospective study. Am J Sports Med 2005;33(4):492-501. 26. Schmitz RJ, Shultz SJ, Nguyen AD. Dynamic valgus alignment and functional strength in males and females during maturation. J Athl Train 2009;44(1):26-32. 27. Lucci S, Cortes N, Van Lunen B, et al. Knee and hip sagittal and transverse plane changes after two fatigue protocols. J Sci Med Sport 2011;14(5):453-459. 28. Malinzak RA, Colby SM, Kirkendall DT, et al. A comparison of knee joint motion patterns between men and women in selected athletic tasks. Clin Biomech 2001;16(5):438-445. 29. McCann R, Cortes N, Van Lunen BL, et al. Neuromuscular changes following an injury prevention program for ACL Injuries. Int J Athl Ther Train 2011;14(4):16-20. 30. Quammen D, Cortes N, Van Lunen BL, et al. Two different fatigue protocols and lower extremity motion patterns during a stop-jump task. J Athl Train 2012;47(1):32-41. 31. Chaudhari AM, Andriacchi TP. The mechanical consequences of dynamic frontal plane limb alignment for non-contact ACL injury. J Biomech 2006;39(2):330-338. 32. Chaudhari AM, Hearn BK, Andriacchi TP. Sport-dependent variations in arm position during single-limb landing influence knee loading: implications for anterior cruciate ligament injury. Am J Sports Med 2005;33(6):824-830. 33. Cortes N, Onate JA, Abrantes J, et al. Effects of gender and foot-landing techniques on lower extremity kinematics during drop-jump landings. J Appl Biomech 2007;23(4):289-299. 34. 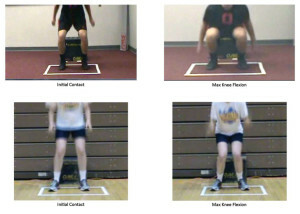 Cortes N, Onate JA, Van Lunen B. Pivot task increases knee frontal plane loading compared with sidestep and drop-jump. J Sports Sci 2011;29(1):83-92. 35. Padua DA, Boling MC, Distefano LJ, et al. Reliability of the landing error scoring system-real time, a clinical assessment tool of jump-landing biomechanics. J Sport Rehabil 2011;20(2):145-156. 36. Cortes N, Onate JA. 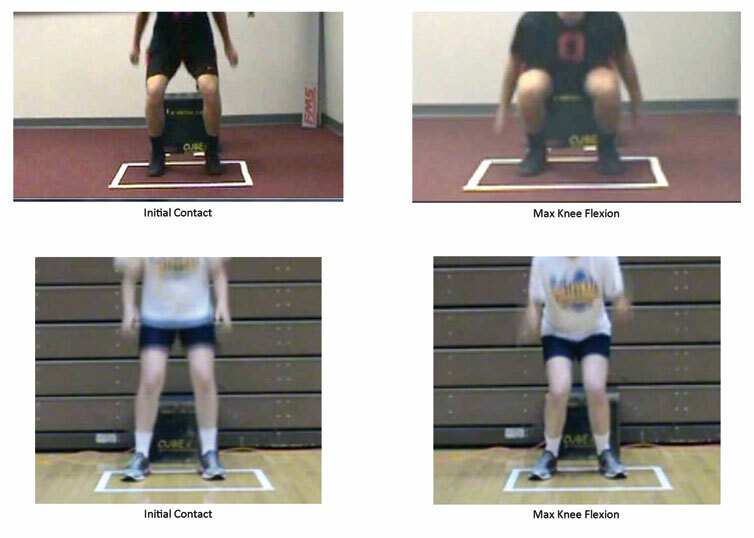 Clinical assessment of drop-jump landing for determination of risk for knee injury. Int J Athl Ther Train 2013;18(3):10-13. 37. Bennell KL, Talbot RC, Wajswelner H, et al. Intra-rater and inter-rater reliability of a weight-bearing lunge measure of ankle dorsiflexion. Aust J Physiother 1998;44(3):175-180. 38. Krause DA, Cloud BA, Forster LA, et al. Measurement of ankle dorsiflexion: a comparison of active and passive techniques in multiple positions. J Sport Rehabil 2011;20(3):333-344. 39. O’Shea S, Grafton K. The intra and inter-rater reliability of a modified weight-bearing lunge measure of ankle dorsiflexion. Manual Ther. 2012;18(3)264-268. 40. Hoch MC, Staton GS, McKeon PO. Dorsiflexion range of motion significantly influences dynamic balance. J Sci Med Sport 2011;14(1):90-92. 41. Konor MM, Morton S, Eckerson JM, Grindstaff TL. Reliability of three measures of ankle dorsiflexion range of motion. Int J Sports Phys Ther 2012;7(3):279-287. 42. de Noronha M, Refshauge KM, Herbert RD, Kilbreath SL. Do voluntary strength, proprioception, range of motion, or postural sway predict occurrence of lateral ankle sprain? Br J Sports Med 2006;40(10):824-828. 43. Kaufman KR, Brodine SK, Shaffer RA, et al. The effect of foot structure and range of motion on musculoskeletal overuse injuries. Am J Sports Med 1999;27(5):585-593. 44. Basnett CR, Hanish MJ, Wheeler TJ, et al. Ankle dorsiflexion range of motion influences dynamic balance in individuals with chronic ankle instability. Int J Sports Phys Ther 2013;8(2):121-128. 45. Hoch MC, Staton GS, Medina McKeon JM, et al. Dorsiflexion and dynamic postural control deficits are present in those with chronic ankle instability. J Sci Med Sport 2012;15(6):574-579. 46. Clapper MP, Wolf SL. Comparison of the reliability of the Orthoranger and the standard goniometer for assessing active lower extremity range of motion. Phys Ther 1988;68(2):214-218. 47. Montgomery LC, Nelson F, Norton JP, Deuster PA. Orthopedic history and examination in the etiology of overuse injuries. Med Sci Sports Exerc 1989;21(3):237-243. 48. Youdas JW, Bogard CL, Suman VJ. Reliability of goniometric measurements and visual estimates of ankle joint active range of motion obtained in a clinical setting. Arch Phys Med Rehabil 1993;74(10):1113-1118. An awesome article. One question though, I am looking at the single leg hop for distance test and struggling to find what are consider normal and abnormal results. Can some one either point me in the right direction or explain what normal values would be with this test. 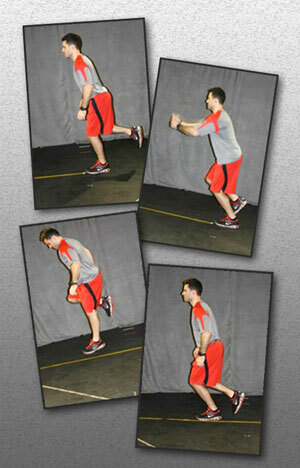 This open-access article has some good details about ways to use various functional tests, including single leg hop. The most basic assessment would seem to be looking at side-to-side symmetry – an asymmetry of 10-15% seems to be a red flag for injury risk. Interesting question posed by Mr. Huck – currently the assumption is asymmetries of 10-15% are abnormal and possibly problematic- but we must wait until the data shows this to be true or not. Current preliminary analysis of data show ~5% side-side differences are normal in high school athletes for functional tests. 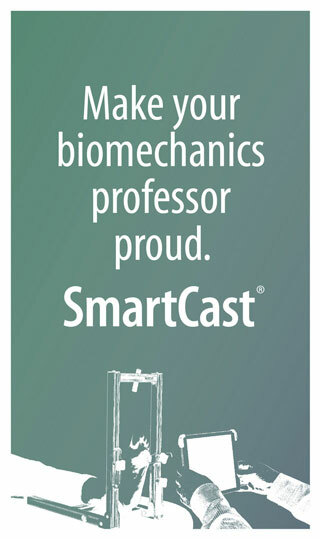 Normative data is coming soon – see ACSM and NATA 2014 abstracts and articles to be forthcoming. Preliminary report is that norms are effected by gender and age – feel free to contact us for specific information at fppe.osu@gmail.com.